Great news! Yesterday in Paris, the General Assembly of the Bureau International des Expositions voted to make the United States a finalist to host a World’s Fair in 2023. Yesterday in Paris, the General Assembly of the Bureau International des Expositions (BIE) voted to make the United States a finalist to host a World’s Fair (“Expo”) in 2023. The United States/Minnesota, Argentina/Buenos Aires and Poland/Lodz will continue to promote their respective Expo projects until the 162nd General Assembly of the BIE in November 2017, when Member States of the BIE will vote for the organizing country of Specialized Expo 2022/2023. World’s Fairs bring millions of visitors, and generate digital impressions in the billions on a global scale. The proposed Expo in Minnesota with the theme “Healthy People, Healthy Planet” would bring more than 12 million visitors during the three-month event, and feature exhibits and experiential learning opportunities from around the world. The overall national economic impact of Expo 2023 USA-Minnesota is estimated to be over USD $4 Billion. However, as per the United States Wants to Compete for a World Expo Act (H.R. 534), funding for all World’s Fair projects in the US must come from private sources. 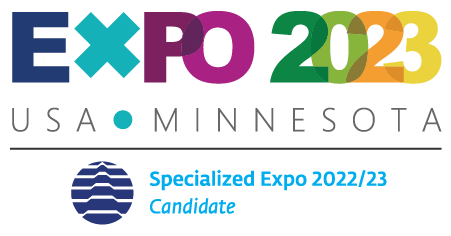 Expo 2023 USA-Minnesota is expected to generate over 40,000 jobs across the state in support of the event. Expo 2023 USA-Minnesota will place the Twin Cities region, and its seven-county population of 3.5 million, on a global stage, introducing Minnesota to the world. Today’s announcement is a positive development in our quest to bring the World’s Fair to Minnesota, but we still have our work cut out for us in the competition. The next phase of work has two parallel, time-intensive paths. First, we must work closely with the U.S. State Department and trusted advisors to reach out to the BIE member nations for their vote in November. We additionally need to make major headway in the development of our themes and have committed to bringing global health ministers together in September to develop themes in line with global health considerations. We are celebrating today, but tomorrow we get right back to work. Now is the time for U.S. businesses, as well as public and civic leaders to come together to make the strongest case possible to ensure that the BIE selects USA-Minnesota as the site for Expo 2023. Stay tuned for details on how to get involved and ensure we have the resources needed to be successful in November.